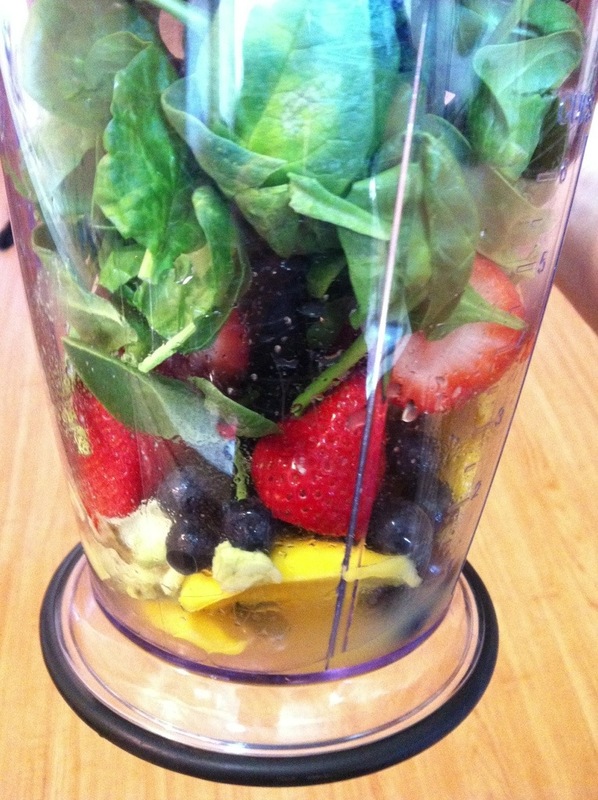 Green Smoothie Challenge coming up on April 1st. For those that haven’t yet joined, there is still time. Just go here to get started. This is a great way to increase fruit and veggie intake without feeling intimidated by the fancy juicing process. 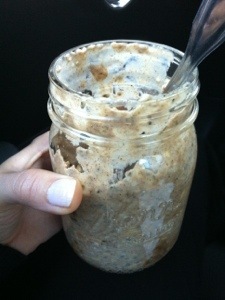 I’m so excited I started playing around already… Here’s a picture of the smoothie I made yesterday and boy was it tasty! Rub pork with salt, pepper and garlic, place in pan. 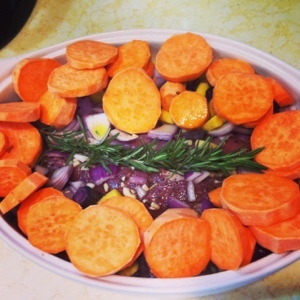 Place carrots, red onions and sweet potatoes in pan. Pour broth and olive oil over the contents of the pan. 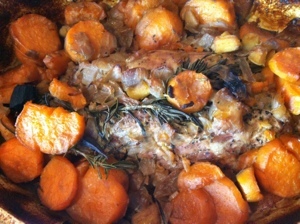 Top with rosemary sprig and cover with tin foil. Place in oven for one hour covered. Take out from oven and rotate vegetables and baste pork. Cover and place in oven for one additional hour. Remove from oven and remove foil. Place back in oven for 30 minutes. Remove and let set form 5 minutes. 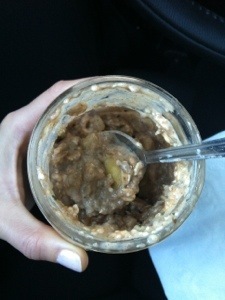 The best part is that you can make this ahead of time and in the morning just grab and go! I have been having this breakfast after my weekday 2 hour rides. Give it a try and dare to make substitutions with your favorite fruits. Mix dry ingredients first and then add wet ingredients. 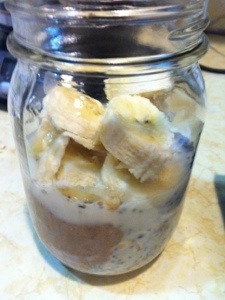 Mix well and add in the banana. 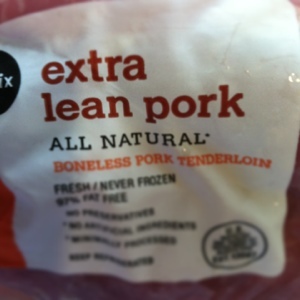 Refrigerate over night. Next morning, grab and eat! Three down and one to go! 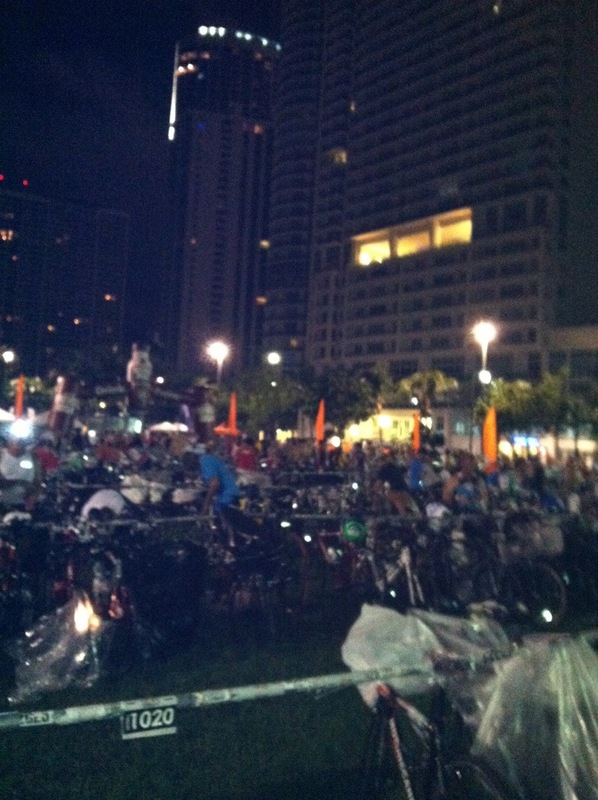 My next challenge is the Miami Man Half Iron Distance. I continue to train pretty hard and this month is the toughest one yet. I hope to survive and hope that this Miami weather gives us a break from the heat, rain and high humidity. Just last weekend I completed my first double brick which was an hour and 15 minute bike, than an hour run x 2! I have a feeling will be doing more of these and it won’t get any easier. Here’s what my next race consists of. The bike ride will go through farmland areas of unincorporated Miami-Dade county (the Redlands). 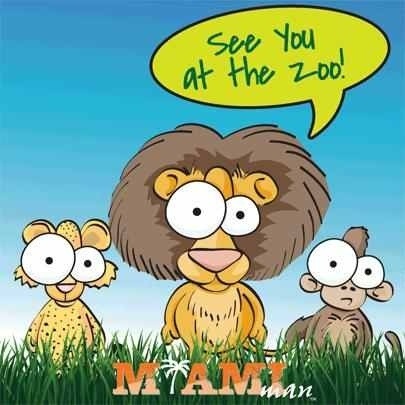 The first mile includes paved road and some hard packed dirt road that takes you through the back gate into Zoo Miami where you will run by various zoo animal exhibits. At that point the run course goes down and back the beautiful palm tree-lined Zoo Miami main entrance, then re-enters the Zoo at about the 4 mile mark for more animal exhibits. The run then goes through non-public areas of the zoo to another back entrance to Larry and Penny Park and from that point back to the finish area. 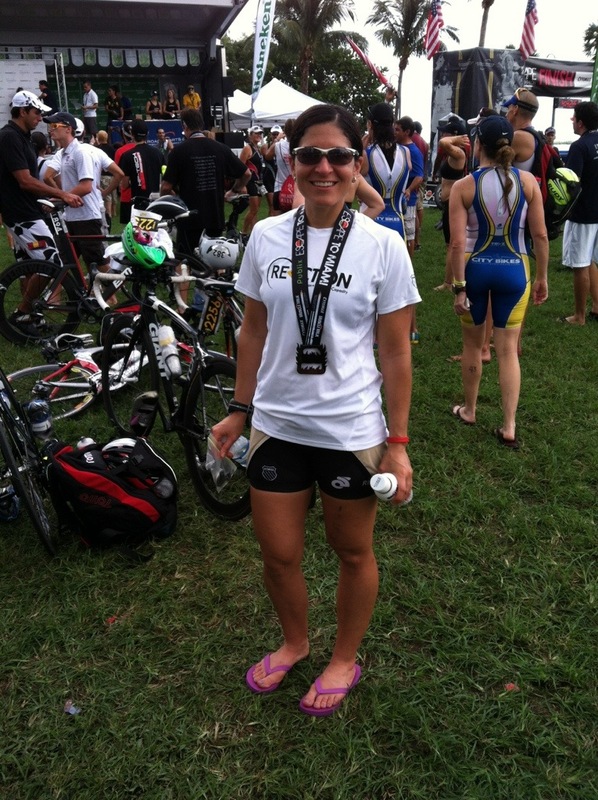 Yesterday I participated in a sprint triathlon that’s part of a 4 race series. This is my third year participating and my improvements are really starting to show. This year I only did two events; one in June and the other yesterday. I’ve trained hard since the race in June and it shows. 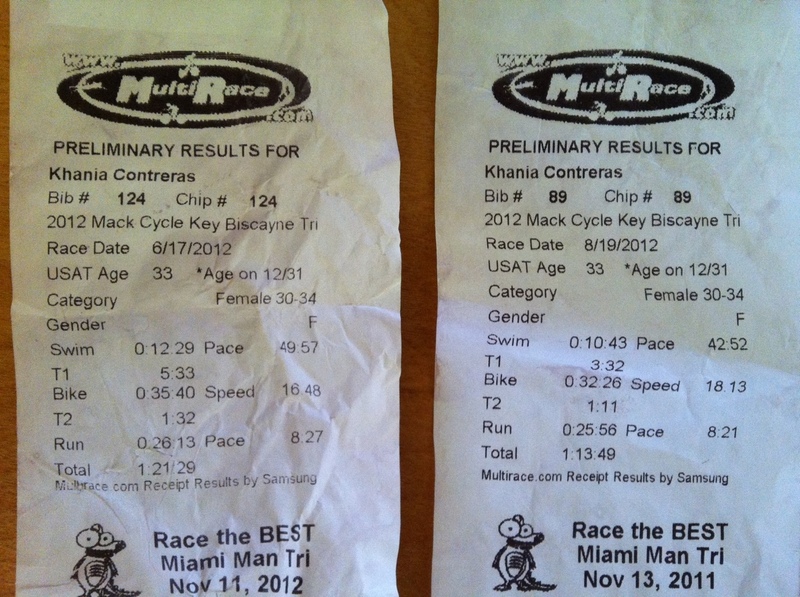 Take a look at my times for both events. I was focused and I was ready to push myself. Improving eight minutes on my sprint time only gets me more motivated to keep working hard. 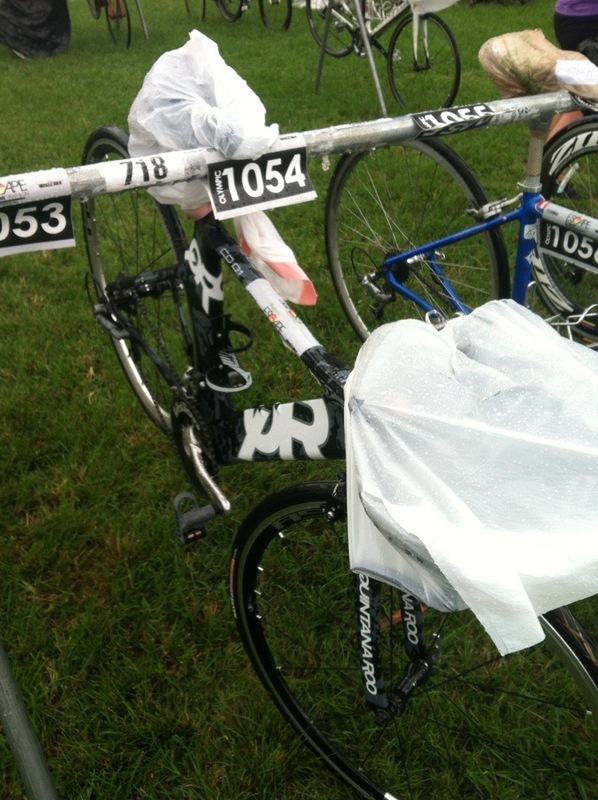 My next races won’t be this short and I have some serious training to do…. 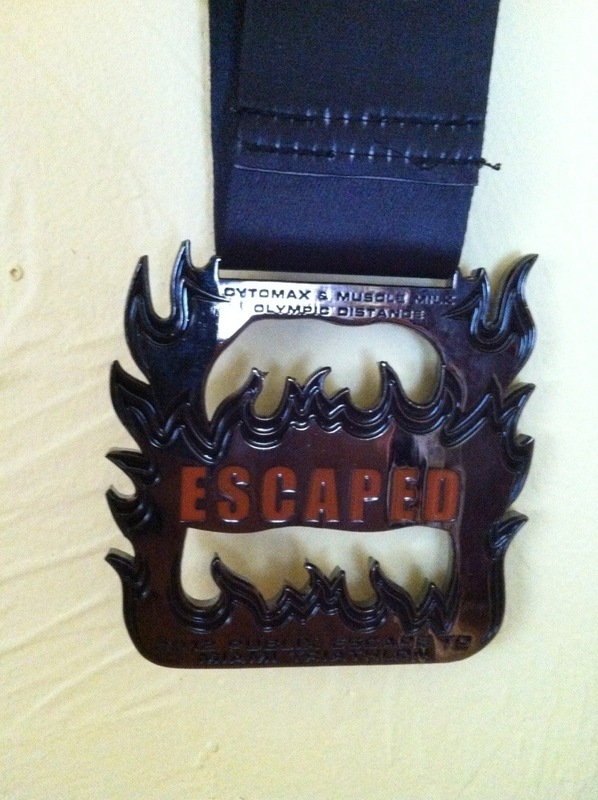 Next on my list for this year are Escape to Miami Olympic distance and Miami Man Half Iron distance!!! 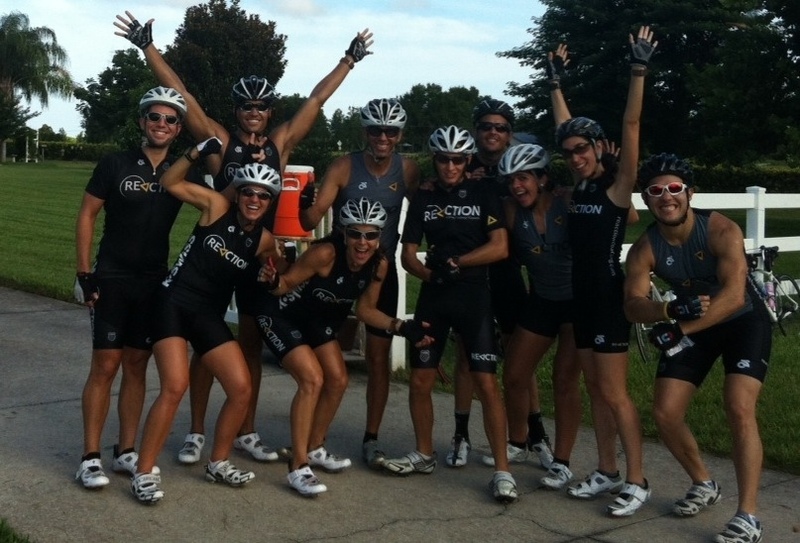 This past weekend I was lucky to be able to take part on Reaction’s tri camp in Clermont, Fl. 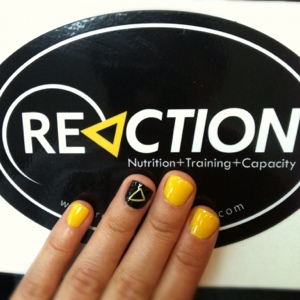 We were all so excited that us girls even got our nails camp ready! 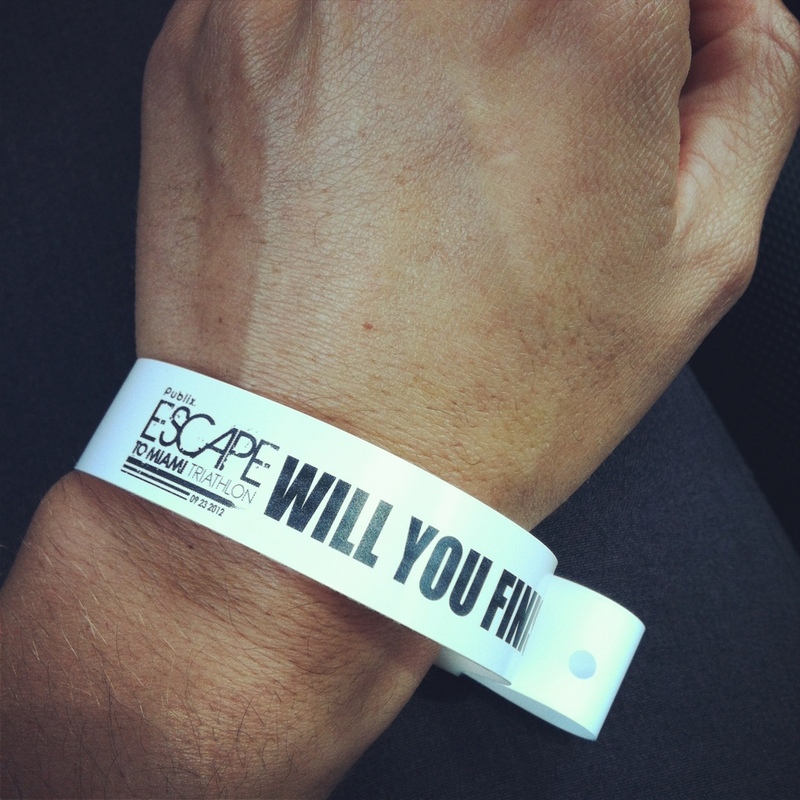 All I can say about that weekend is wow! The rolling hills were never-ending. 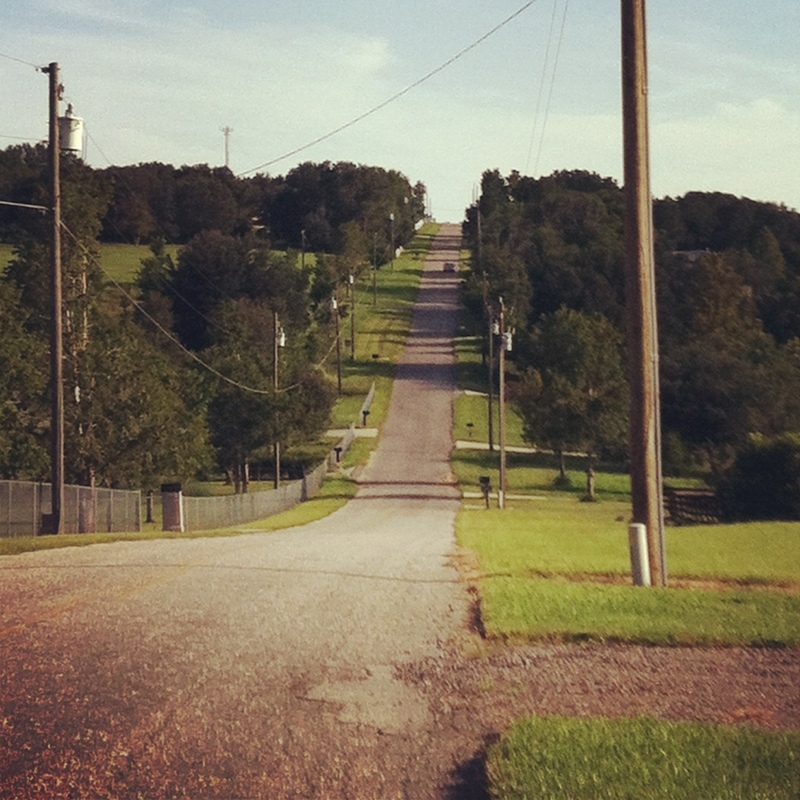 We rode the famous Sugarloaf climb which is a half mile climb and it was no joke! We would stop on a house on top of the hill where the owners are gracious enough to put out water for all the riders to refill their bottles. It was our half way meet up point. 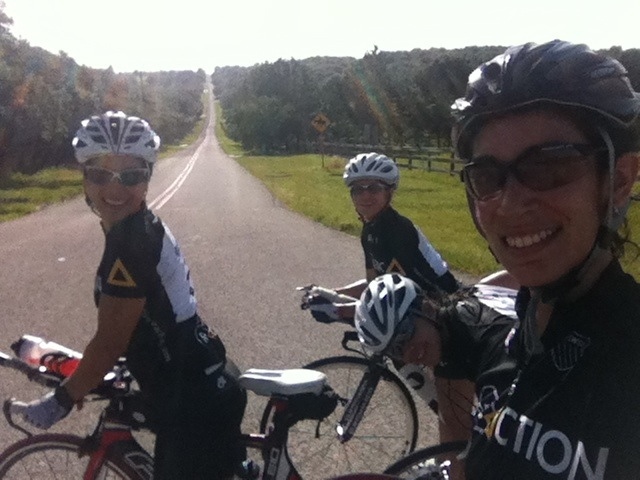 On Saturday we rode from 2.5 (30 miles) and some rode 3+ hours and ran 20-30 minutes after. 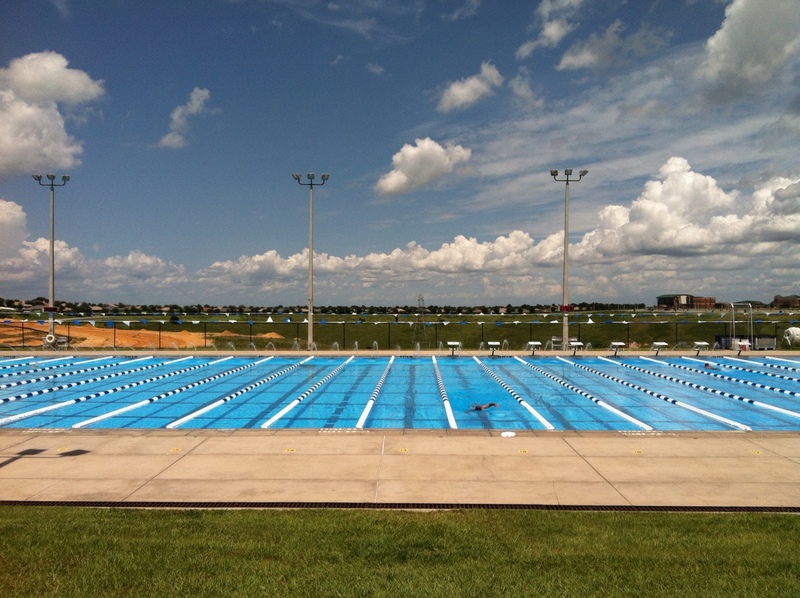 In the afternoon we went to the National training center where we did our swim session for an hour and 15 minutes. On Sunday we rode 3 hours (41 miles), some 4 and ran 15-20 minutes after. It was a weekend of hard work but very beneficial as we don’t have any hills here in Miami, Fl. 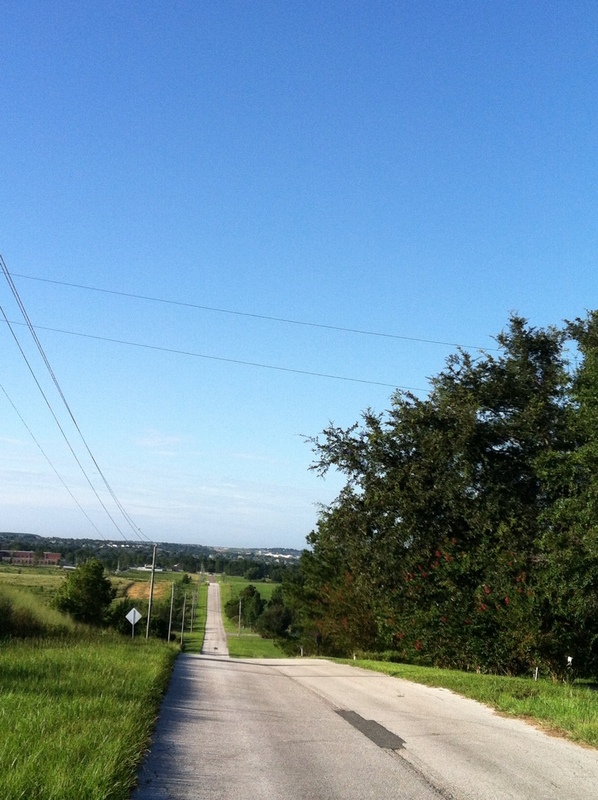 I can definitely see why so many people from the surrounding areas travel to Clermont to train on those hills. Sorry I haven’t been posting as often lately but I do have a few updates to tell you about throughout the week. I’ll start with the most exciting one for me. My new bike!!!!!!!!!! 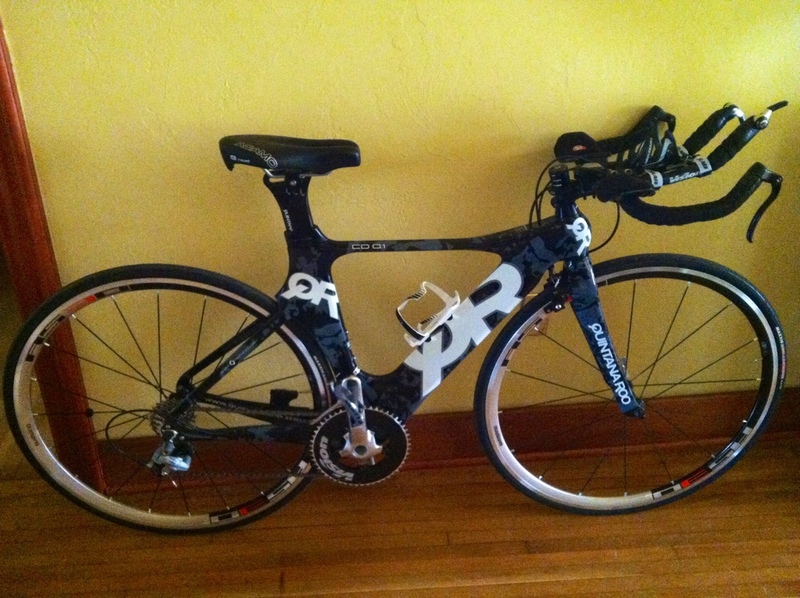 Last week for my birthday present I upgraded my very basic road bike to triathlon bike. I was very excited but somewhat nervous due to the new position of the bike. I went out last Sunday for my first ride on it and did close to 60 miles. I was so happy with it!!! I tend to have back pain and didn’t feel a thing on it. I rode on it all weekend feeling great (but that’s my next post ;-)).